Are you prepared to evacuate with your pets? Follow the three steps to make sure your pets are ready for any natural disaster. 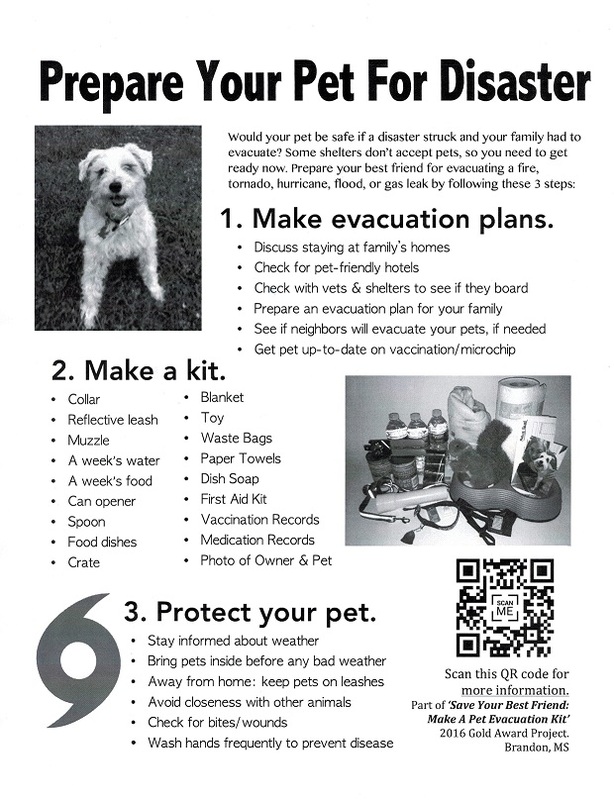 This flyer is part of the “Save Your Best Friend: Make a Pet Evacuation Kit” Girl Scouts Gold Award. Some items may vary between dogs and cats.